Hello everyone, kind of a side project that I've been working on ever since the new year started. Looks good, a great effort was put in this proyect, few people care about this part for any kind of histories. 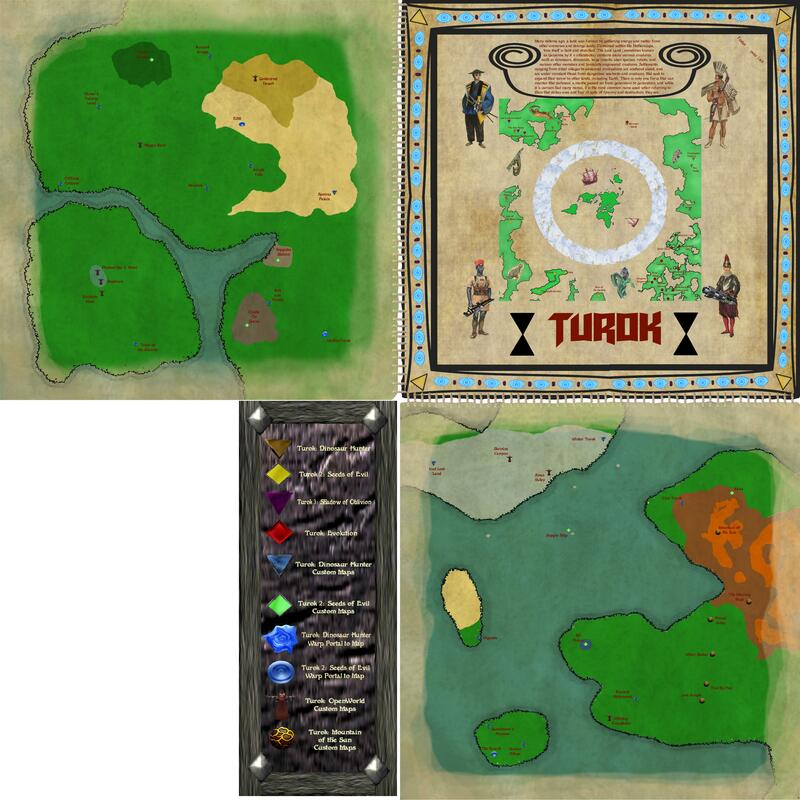 I think a more Evolution stile of map was a better step, in my opinion of course, i dont try to offend. Aight, well I have some good news and some bad news. 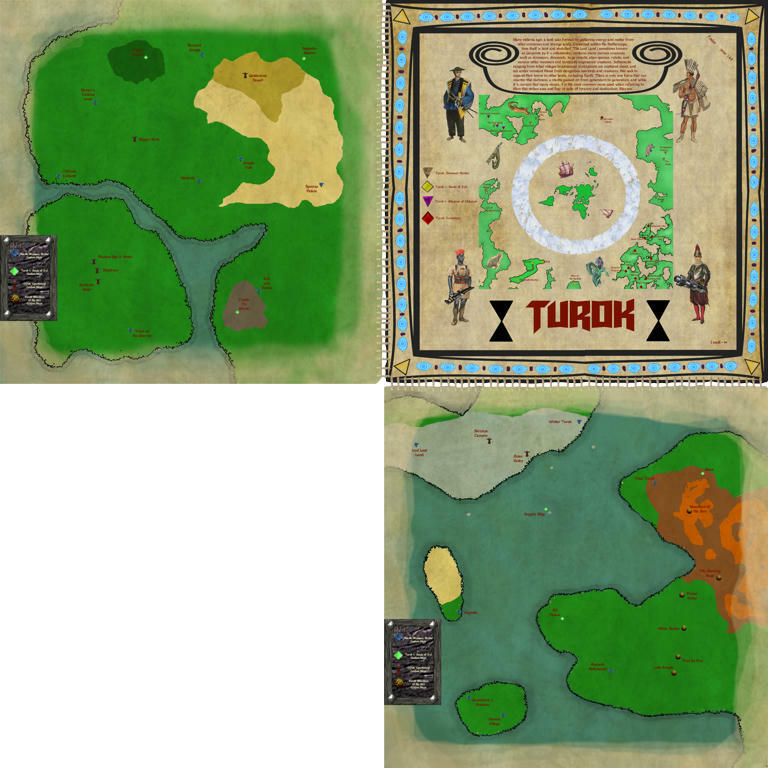 Good news is I expanded the old map to be side by side 2 other maps containing modded levels and campaigns from turok 1 and 2!!! Bad news is I forgot I was supposed to make it vintage looking without so many colors!! I hope you enjoy anyway! Unlike the previous map, these will be updated as time goes on because I know I forgot some things to add in there..
That's pretty awesome there gj I actually agree with where my maps are located and especially B464. It does seem like it would be located in the area of Mountain of the Sun hah. Looks awesome for fitting all the custom maps in. Funny the MOTS maps just keep going up. Added missing locations, moved stuff around, ect.